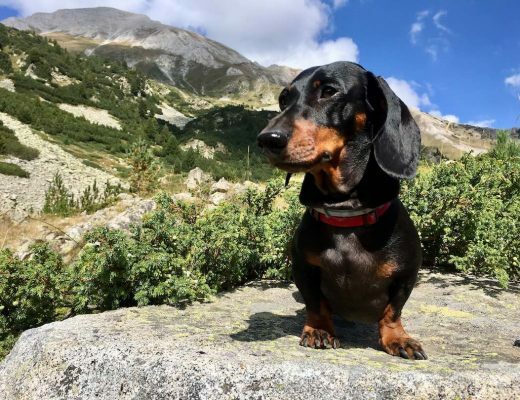 With its beautiful natural scenery, there’s no shortage of dog-friendly fun to be had in Scotland, the northern-most and most rugged country of the UK. 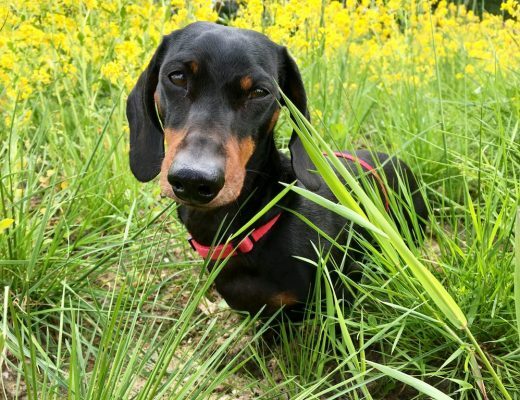 Not that dogs are restricted to the countryside, dogs are also made welcome in the cities such as Edinburgh. 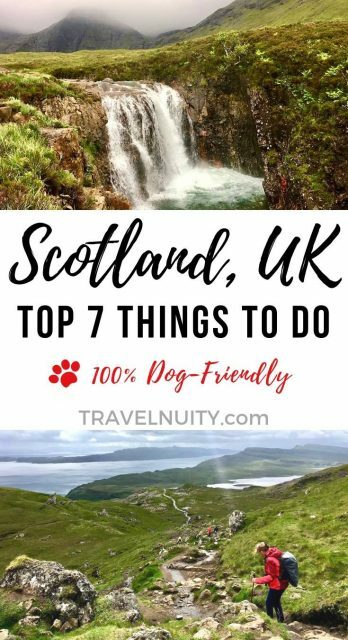 On your next Scottish holiday with your pup, add some of these dog-friendly things to do in Scotland to your itinerary. 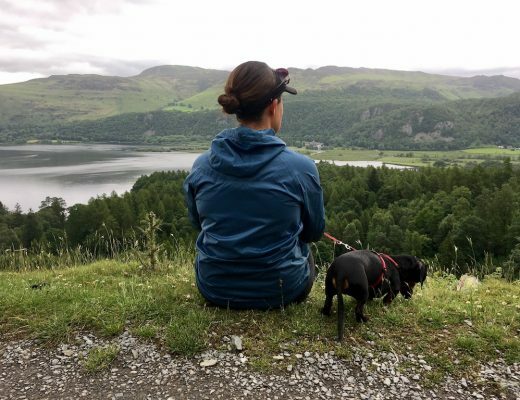 Also check out my recommendations for dog-friendly things to do in England and Wales! Edinburgh is a must-visit stop for most people visiting Scotland, due to its impressive history and wonderful architecture. 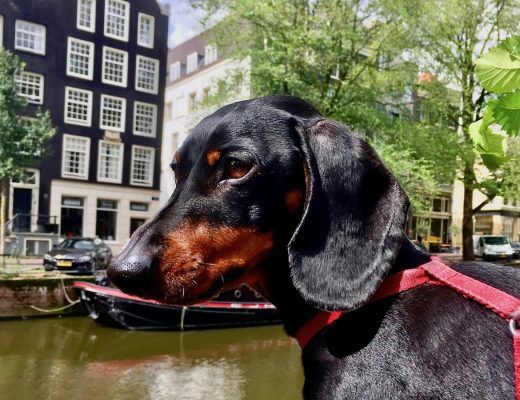 And just because you’re travelling with a dog doesn’t mean you should skip over visiting the capital of Scotland, as it’s one of the most dog-friendly cities in the UK. I recommend walking along the Royal Mile and taking in the Old Town of Edinburgh with your dog at your side. 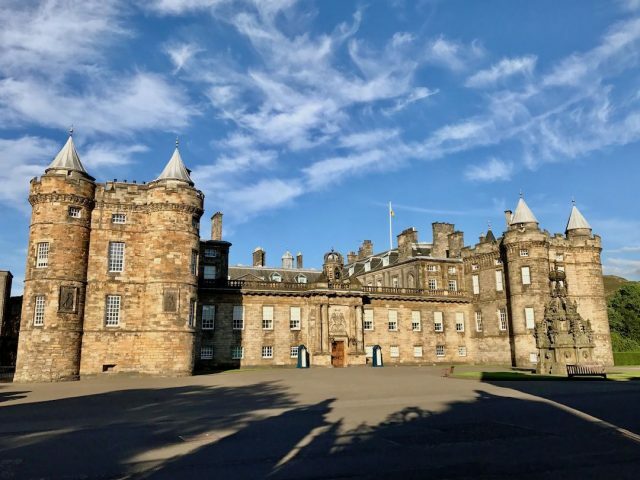 Start at the Palace of Holyrood, residence of the Queen when she’s in Edinburgh, and then head up the hill towards Edinburgh Castle. Along the way pass the modern Scottish Parliament Building but also plenty of old gothic buildings, such as Tolbooth Tavern and St Giles’ Cathedral. 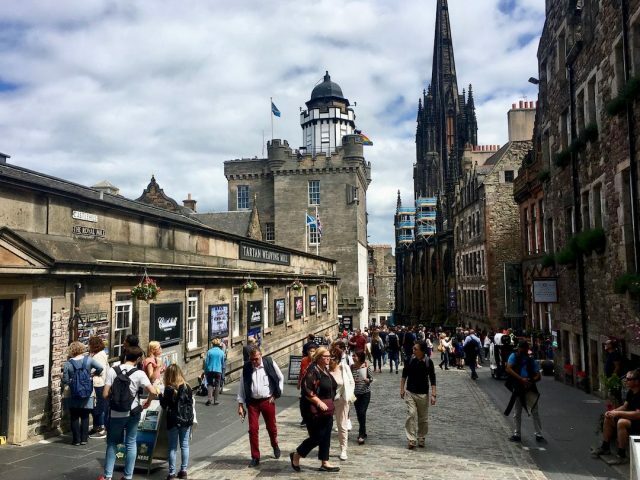 If you’re wanting to head inside Edinburgh Castle you’ll have to return another day, as dogs aren’t allowed inside this popular tourist spot. 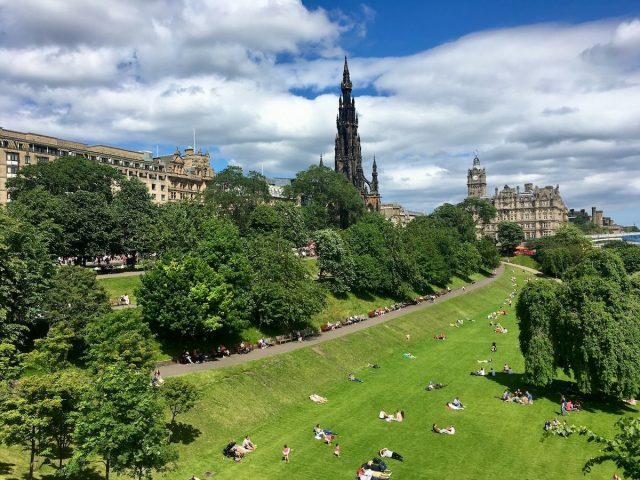 Instead head down to the hill to the expansive grass lawns of the Princes Street Gardens (just keep your dog on its leash). Or if the weather isn’t the best, retreat to one of the many pubs that welcomes dogs. Bonus Tip: When crossing George IV Bridge, take a turn south (to the left) to head 0.2 miles to Greyfriars Kirkyard and the famous statue of Greyfriars Bobby. The little Skye terrier followed the remains of his master to the churchyard and stayed there until his death, the bronze statue erected in his honour. 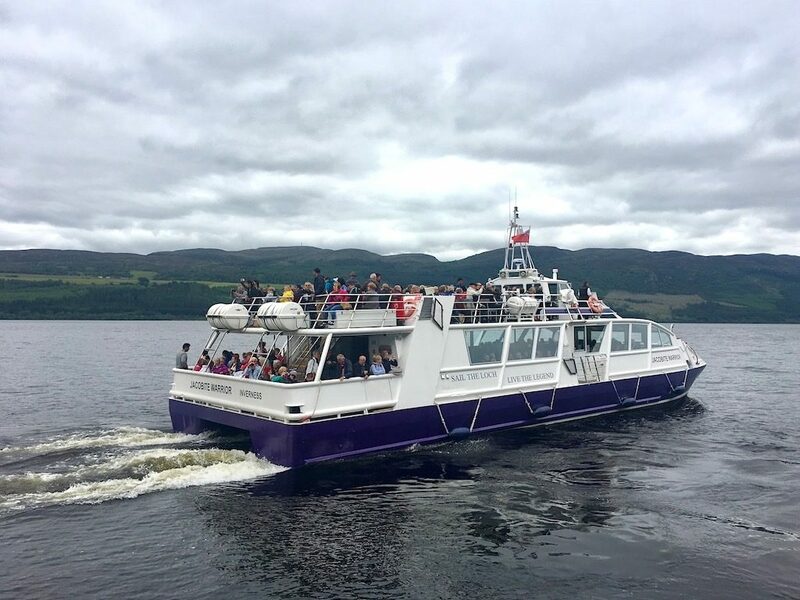 Thanks to the legend of the Loch Ness monster, a cruise on Loch Ness is a popular part of a trip to Scotland. 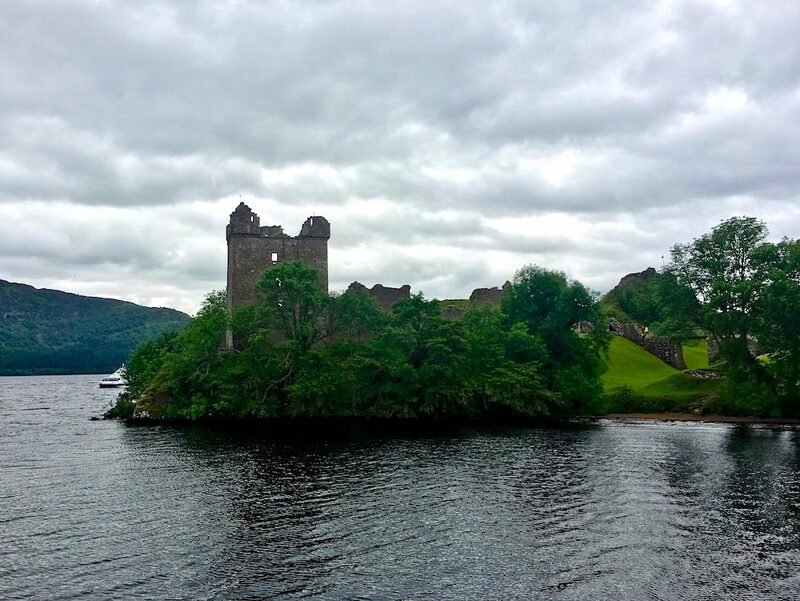 Loch Ness is the largest lake in Scotland, based on both its length and great depth. 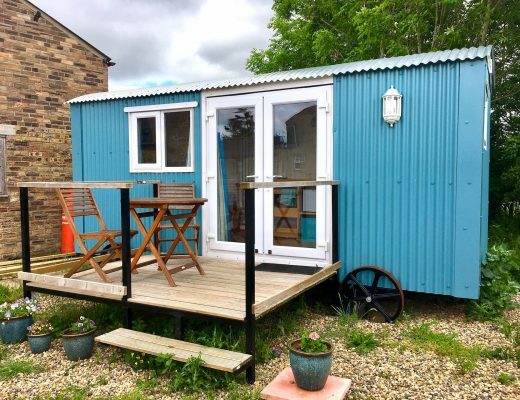 It’s not far to the west of the large town of Inverness, plus within day-trip distance of Edinburgh. The cruises are run by a single company, Jacobite Cruises. They offer multiple cruise options, with the shortest being a one hour cruise from Clansman Harbour. 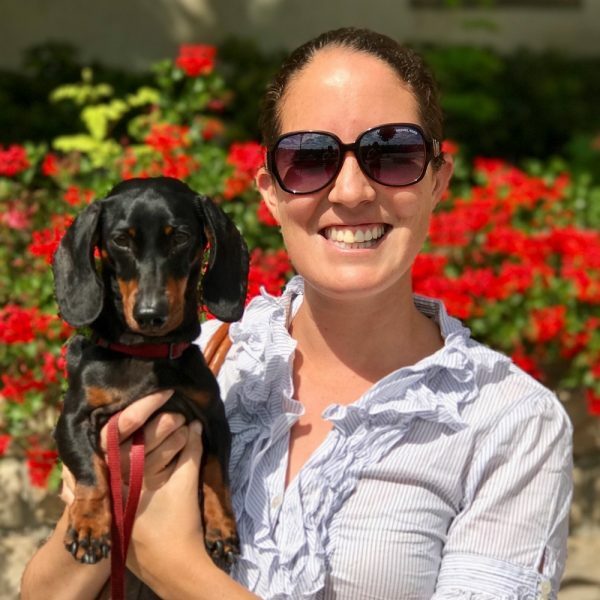 This is the cruise we took, which is a dog-friendly cruise. 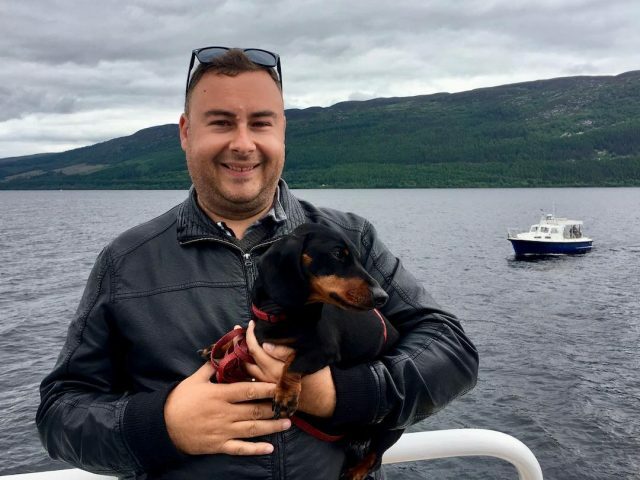 Note that it’s not possible to take a dog on the cruises that visit Urquhart Castle, as dogs are not allowed at that site. It’s best to book in advance, as some cruises do get booked out by tour coaches. Although during the summer some cruise run hourly, so it’s not too long to wait on shore. Just one warning from Jacobite Cruises: keep an eye on your dog, in case Nessie is feeling peckish! A visit to the Isle of Skye is turning into a must-visit stop in Scotland for international tourists. 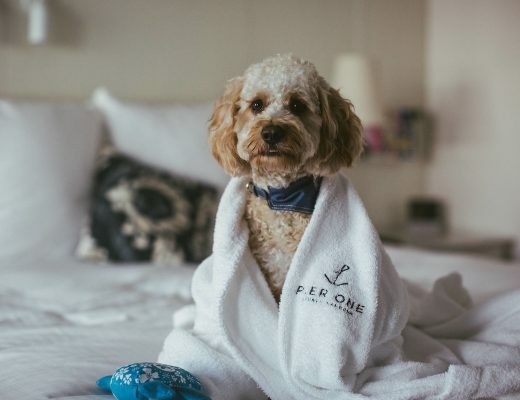 This means that most accommodation books out well in advance, including the dog-friendly options. But with its impressive natural beauty, I can’t help including it in my list of recommendations for Scotland. Just be prepared for slow journeys on the many one-lane roads and to book your accommodation in advance! 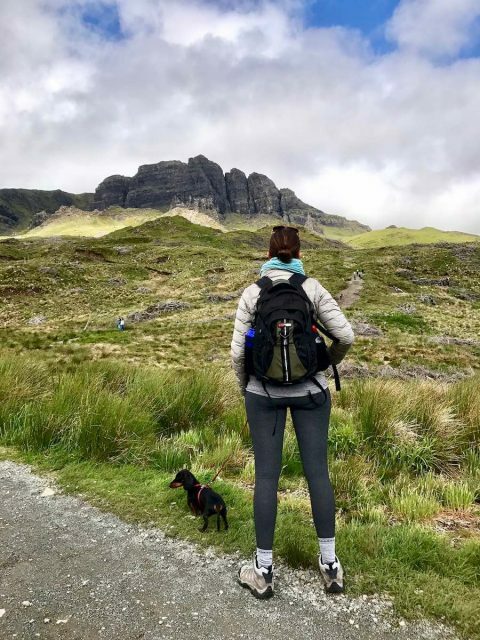 Some of the highlights of a visit to Skye include the rocky outcrops of the Old Man of Storr, the rugged Quiraing and the enchanting Fairy Pools near Glenbrittle. I recommend getting out of your car and hiking as much as the weather allows. 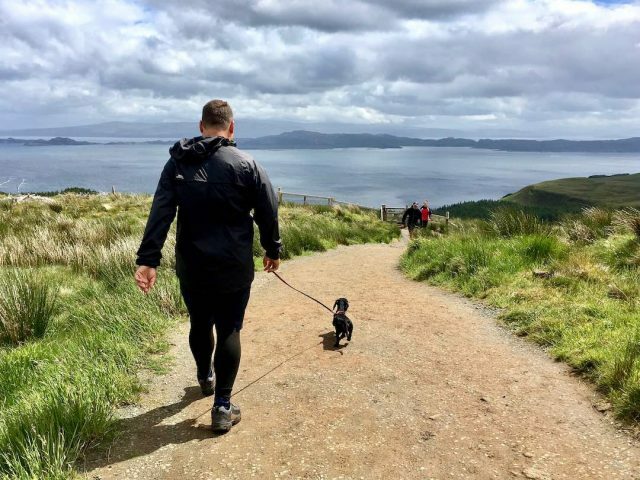 We hiked up to the Old Man of Storr with our dog, a fairly short path albeit muddy from the many visitors. Unfortunately we had to skip the Quiraing Path due to the wind that almost blew us off the escarpment. Just be warned that no matter what time of the year you visit Skye, you’ll likely encounter rain. Be prepared with adequate gear for yourself, and plenty of towels for cleaning your dog and covering surfaces in your car. We skipped taking our dog on the walk to the Fairy Pools due to the mud, plus a rather large gap on the stepping stones. 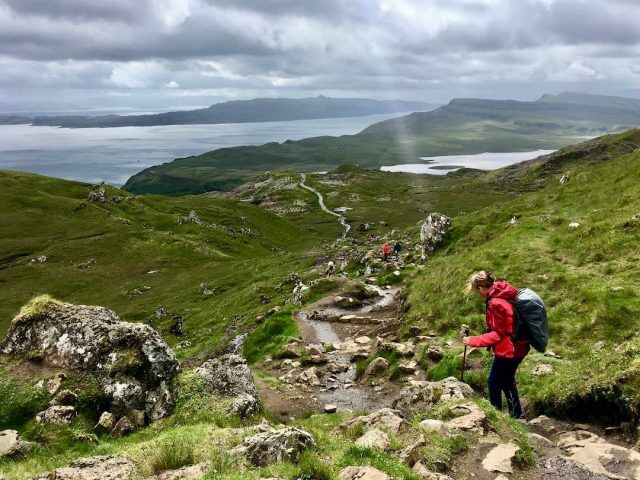 Not that you need to head all the way to the Isle of Skye for impressive hiking in Scotland. I highly recommend hiking up Arthur’s Seat in Edinburgh. 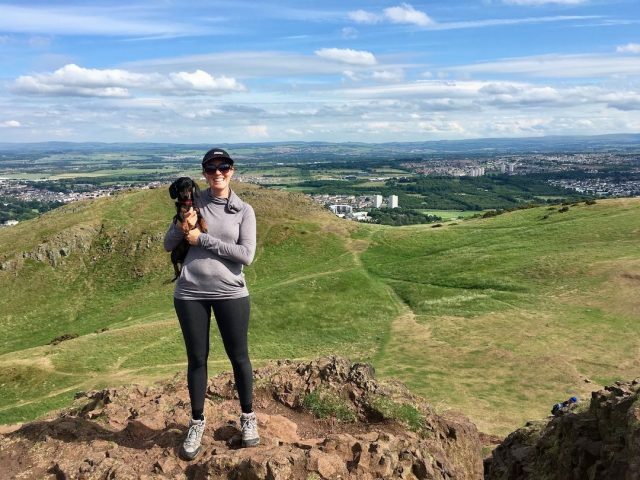 The remains of a dormant volcano, the Arthur’s Seat trail starts just behind Holyrood Palace at one end of the Royal Mile and is great for hiking with an active dog. It’s a bit of a clamber up the steep slopes at time, but do-able by most people even if you’ve only got a pair of trainers. The views at the top are terrific, especially on a sunny day. Take along your own water and allow a couple of hours. I seem to recall that part of the walk is off-leash, although it depends on the time of the year due to nesting birds, so always check the latest signs. 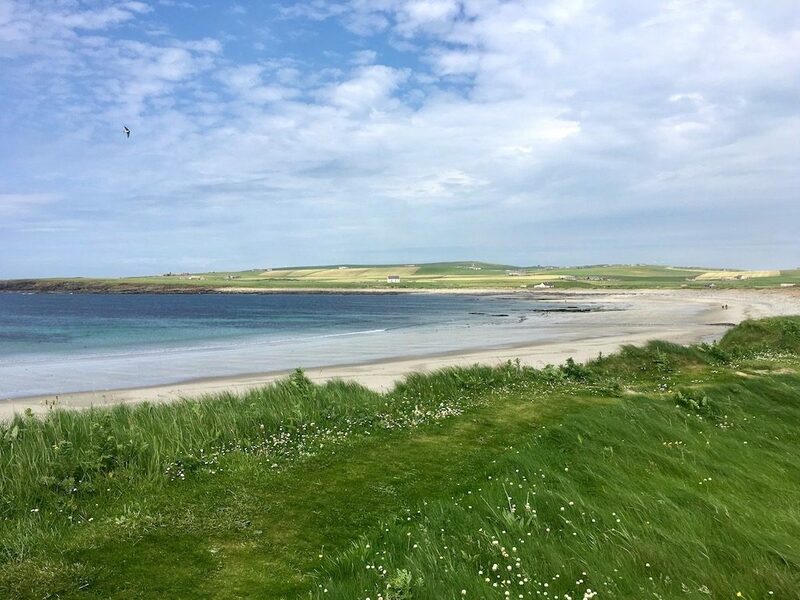 The Orkney Islands are located just off the northern tip of Scotland, a 3-hour drive north of the town of Inverness. 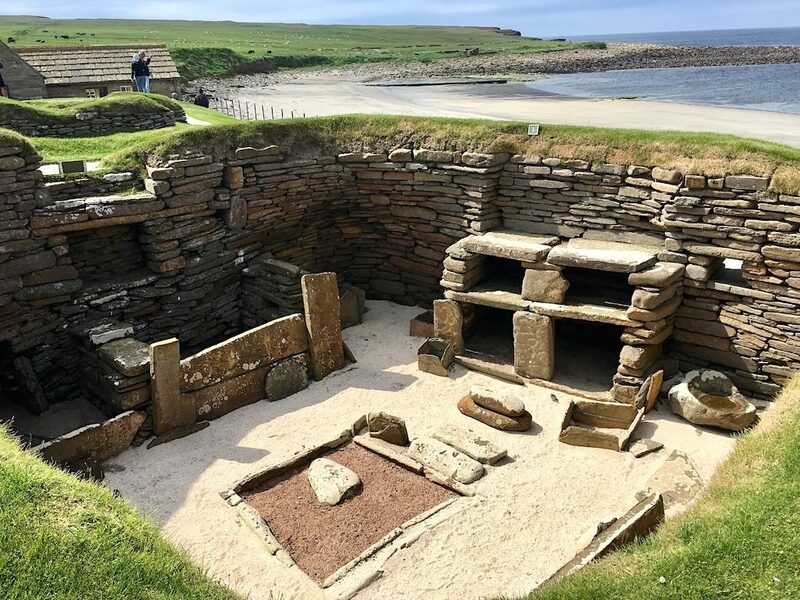 The islands are a great destination for lovers of history, as they are home to many Neolithic remains including the Neolithic village of Skara Brae and multiple standing stone circles, plus the islands played a fascinating role in WWII. 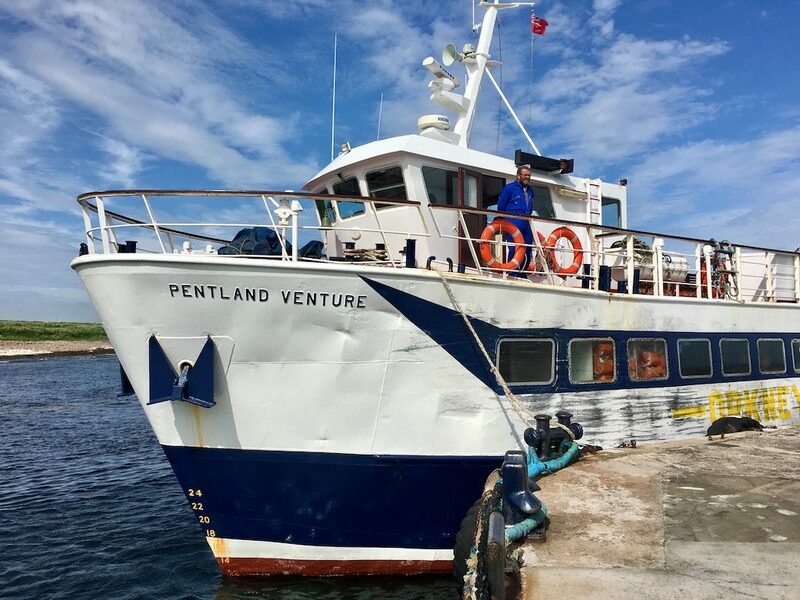 There’s a few different vehicle ferry options to take across to the islands, plus a passenger ferry that runs from John O’Groats, the most distant point on Britain from Lands End in Cornwell. Dogs are allowed on each of the ferry options. In particular, I recommend booking the combined John O’Groats ferry with their coach tour of the island, if you only plan to visit for the day. We found the tour to be very well organised and our bus driver kept up a constant and fascinating commentary. Small, quiet dogs are allowed along on this tour, including on the coach on the Orkney Islands. The only issue is if you elect to add on the optional coach trip from Inverness. We did this (to save on the 6 hour return drive), and on this long coach trip dogs are not surprisingly not allowed. Scotland is home to many fascinating castles. 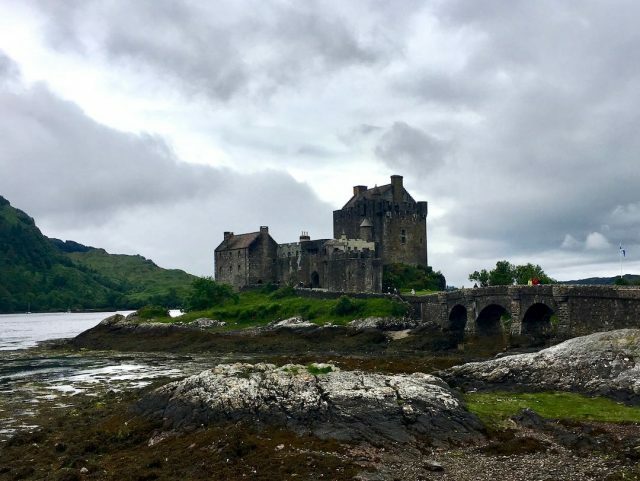 On our drive to and from the Isle of Skye, we stopped off to take in the view across the bay to Eilean Donan Castle, near Kyle of Lochalsh. However, dogs are not allowed to cross over the bridge to the castle. If you’re wanting to visit a classic Scottish castle with your dog, instead consider visiting Culzean Castle and Country Park. Located a 1-hour drive southwest of Glasgow (on the way to Cairnryan and the dog-friendly ferry across to Belfast), dogs are permitted in the extensive landscaped gardens and woodland that surround the castle. The only exceptions are inside buildings, walled gardens and most of the cafes and restaurants. Dogs need to also be kept on a leash. Culzean Castle is also home to the yearly Culzean Dog Jamboree, taking place every August. Highlights include dog water sports, a 5km jog with your dog and a fun dog show. Check the website for further details and the date. While the beaches of Scotland may not be suitable for swimming except for the most hardy soles, the country is still blessed with many beautiful beaches, many that allow dogs. Head to the Isle of Cumbrae, west of Glasgow and a quick ferry ride across, and visit the award-winning sandy stretch of Newton Beach at the village of Millport. An old-fashioned spot, the beach is great of paddling and crabbing. Don’t also miss getting a photo of your pooch with the painted crocodile on a log. Alternatively, head north to Redpoint North Beach, about 10 miles south-west of Gairloch. 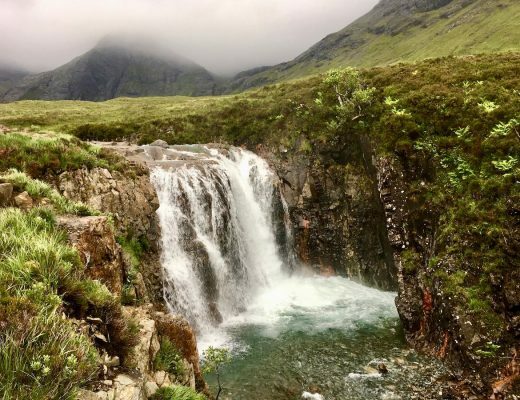 With views stretching off to the Isle of Skye on a clear day, it’s a wild and secluded spot. For more recommendations on dog-friendly beaches in Scotland, check out The Beach Guide.